Lex stumbled upon boxing more than a decade ago at the age of 19; it changed her life forever, in every way possible. She credits her mum and other influential women in her life for showing her how to be a strong, able, and proud woman, and allowing her to believe that she was capable of whatever she set her mind to. Lex has been fighting like a girl since 2003. A woman of many firsts, Lex fought at the 2012 Olympics (the first time womens boxing was included at the Games), becoming the first woman to win a bout at the Olympics for New Zealand and she was responsible for the first Olympic boxing win for NZ in 16 years. She represented NZ at the 2014 Commonwealth Games and won Bronze at the 2018 Commonwealth Games. 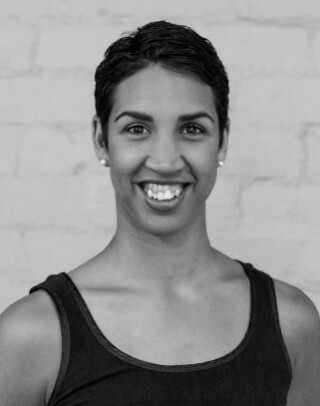 Beyond her incredible boxing talent, Lex is also a director at RebuildWithLex and acts as our in-house physio at Wreck Room. Her passion for being active is rooted in the fact that it makes her feel great about herself, and she wants to help others find that feeling for themselves. Lex does not operate in half-measures; she works hard at the things that are important to her because she likes to do things well, but she does them for herself, not accolades. She also bakes and decorates amazing cakes (seriously – check them out), is a scrapbooker from way back, and finds it mildly difficult to write about herself in the third person. Her friends are her family and she’s never one to pass up a good adventure with them. Like many fighters, Lex is one of the kindest and most welcoming people on the planet. Don’t hesitate to say hello! Follow Alexis Pritchard – Rebuild with Lex on Facebook.